Who is Tom Brady’s friend Alex Guerrero? New England Patriots quarterback Tom Brady’s close relationship with a proponent of alternative medical treatments is under the spotlight again, with news that coach Bill Belichick is limiting Alex Guerrero’s role with the team. What are some of the ventures they’ve partnered in? Guerrero collaborated with Brady on a best-selling book released this year, an exercise and nutrition self-help book called “The TB12 Method.” Guerrero has also worked with Brady on “The TB12 Nutrition Manual;” a line of TB12 snacks, protein bars, and “performance meals;” and a line of workout gear and apparel. The two are also partners in the bustling TB12 Sports Therapy Center, which is in Patriot Place just outside the Patriots’ Gillette Stadium. What are some of the alternative treatments Guerrero prescribes? What kind of relationship has he had in the past with the Patriots? Bill Belichick reduced Guerrero’s team access, including traveling on team flights and sideline passes. With the backing of the superstar quarterback, Guerrero has had a warm relationship with Patriots until now. Nearly every player in the Patriots locker room visited the TB12 Center at Patriot Place for massage work and stretching exercises with Guerrero, the Globe reported this summer. The TB12 Center bills the Patriots for his services. 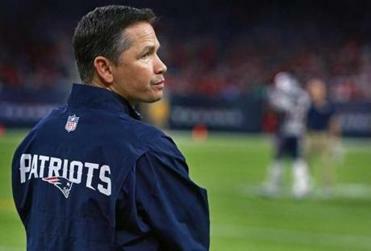 Guerrero was allowed to have his own office near the Patriots’ locker room at the stadium, to fly on the team charter to road games, and to have access to the sidelines at every game. What are some of the controversies Guerrero has been involved in? In 2015, the Globe reported that Patriots medical and training staff had lodged complaints about Guerrero’s expanding role with the team. They said his methods clashed with theirs and raised questions about his background. “Everyone thinks I’m a kook and a charlatan,” Guerrero told the New York Times Magazine that year. Before he partnered with Brady, Guerrero faced sanctions by federal regulators after falsely presenting himself as a medical doctor and deceptively promoting nutritional supplements, according to government records. In one case, Guerrero offered a “drink that protects your brain from the consequences of sports-related traumatic brain injury” that was endorsed by Brady. Guerrero later stopped selling it. State regulators also stepped in when Guerrero treated Patriots players and other people at the TB12 Center, looking into allegations that he was practicing physical therapy without a license. He was cleared of wrongdoing in a 2014 letter instructing him to abide by state regulations while supervising licensed therapists at the TB12 Center. The Globe also reported that Guerrero had a long history of financial troubles, bankruptcies, and legal entanglements. What’s his relationship now with the Patriots? For reasons that he has yet to disclose, Belichick this fall restricted some of Guerrero’s special access to the team. He was banned from boarding Patriots jets, his sideline access was revoked, and the only person he is allowed to treat now in his Gillette Stadium office is Brady. Brady has also refused to discuss the potentially distracting topic.